The mission of the University of Salerno is to carry out research and training, developing collaborative relationships with the territory, respecting the environment, in order to create, enrich and, at the same time, make the scientific and cultural heritage available for students, businesses, institutions and, more generally, the whole community. 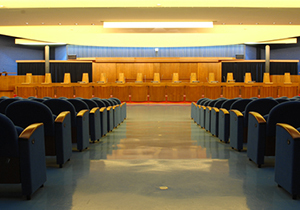 The Aula Magna named after Vincenzo Buonocore, can be used to hold institutional events (inauguration of the academic year, honorary degrees, etc.) and for meetings and conferences with relevant cultural and scientific interest. 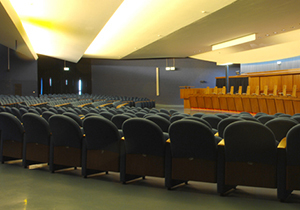 The capacity is 550 seats with a large foyer for scientific exhibitions and lower floor equipped for catering. 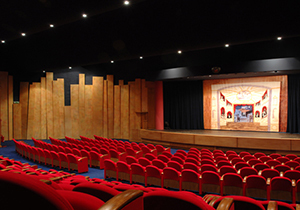 The University Theatre – a theater hall with an audience of 300 people, a fully equipped stage, a large cinema screen, foyer and dressing rooms for the artists – started its activities in 2005. 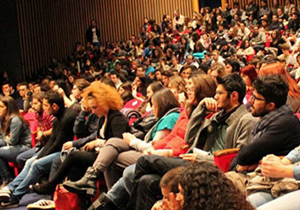 In recent years, the theater has hosted theatrical seasons, musical events, workshops, meetings and lessons-show, film festivals that have contributed both to make the education of students more complex and valuable and to promote fruitful forms of interdisciplinarity and experimentation in research as in teaching.